A team of Australian researchers have identified a new way to detect the presence of cancer in the body with a 10-minute blood test. The study was published Dec. 4, 2018, in Nature Communications. “Our approach also enabled noninvasive cancer detection [i.e., a blood test] in 10 [minutes] from plasma derived cfDNA samples,” the authors wrote. This may help patients with difficult-to-diagnose cancers such as mesothelioma get answers quicker. Symptoms of mesothelioma are similar to signs of less-serious diseases, and diagnosis of this asbestos-related cancer can be delayed for many months. This new, rapid cancer detection method may help doctors and their mesothelioma patients minimize the time required to diagnose the disease. Many people with cancer are not aware they have it until symptoms appear. This can delay diagnosis and make effective treatment more difficult. In the worst-case scenario, cancer can spread beyond the original location, making it nearly impossible to cure. For some types of cancer, the tumor produces specific substances, called biomarkers, which can be tracked. However, most of these markers are specific only to one type of cancer. 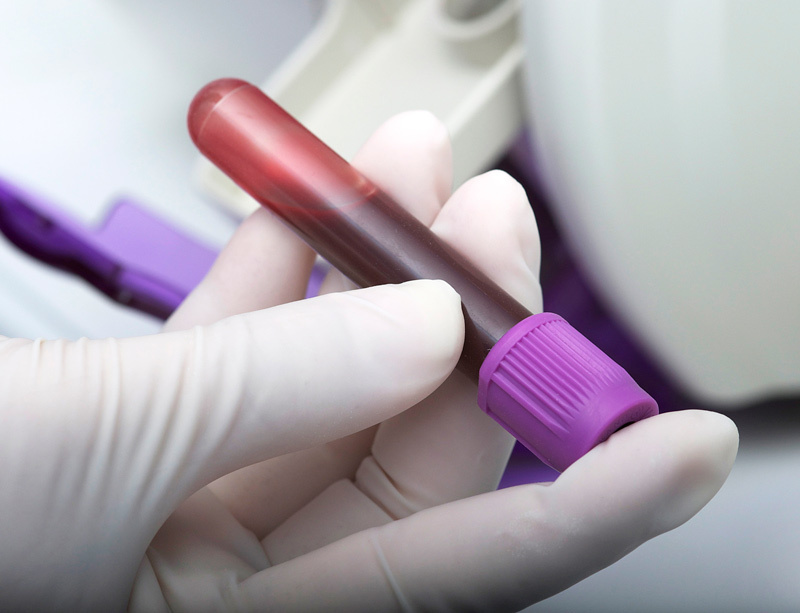 None of the biomarkers approved for clinical use can identify multiple types of cancer. A cancer test that detects many cancer types would be a much-needed addition to current screening options. This is especially true for mesothelioma, which currently has no screening options at all. The Australian researchers looked for changes in DNA methyl group tagging patterns to identify a single method for detecting cancer. First, the investigators processed DNA from cancer cell lines and normal cells. Then samples were tested for physical, chemical and electrical properties. These key properties clearly differed between normal cells and cancer cells. The differences were determined by the methyl group patterns on the cells. Because these tags are known as methyl groups, the study authors referred to the DNA tagging patterns as the Methylscape. Isolating whole cancer cells from a blood sample is very difficult. Free DNA from cancer cells, however, can be found this way. As with normal cells, cancer cells can die and their contents can spill into circulation. In this way, even if a tumor has not spread beyond its original location, DNA from that cancer may be present in blood. The study authors isolated free DNA from blood samples of 100 patients with breast or colon cancer and 45 people without cancer. From this tiny amount of free DNA, the researchers identified which patients had cancer and which were the healthy controls with a high degree of accuracy. By focusing on DNA tagging differences between normal and cancer cells rather than changes in the DNA itself, the researchers identified people with and without cancer. The new research has uncovered the promise of a universal cancer test. The downside of the Methylscape method is that it may not have the ability to tell what type of cancer a person has. “Methylscape in its current form is only able to determine the presence of disease, and a detailed analysis is required to fully understand the type, stage and disease recurrence,” the authors wrote. Still, this method may have particular importance for people who are at high risk of developing mesothelioma. If a person has a history of asbestos exposure, this test may offer a way to screen for the disease without invasive biopsies or CT scans. Biopsies can be risky, putting a person at risk for infection or other complications. CT scans expose the body to high levels of radiation. They cannot be given routinely or frequently. In order to be useful for finding and tracking cancer, a test needs to have good sensitivity and specificity. This refers to how well it minimizes false-positive and false-negative results. This new, rapid cancer detection method appears to meet these criteria. “We believe that this simple approach (i.e. Methylscape) with the excellent sensitivity and specificity would potentially be a better alternative to the current techniques for cancer detection,” the author wrote. However, this approach will need to be tested on larger samples and more cancer types before it’s ready for prime time. This will help researchers refine the procedure and ensure the method identifies cancer in blood samples with enough accuracy to be helpful.